National Security Advisor H.R. 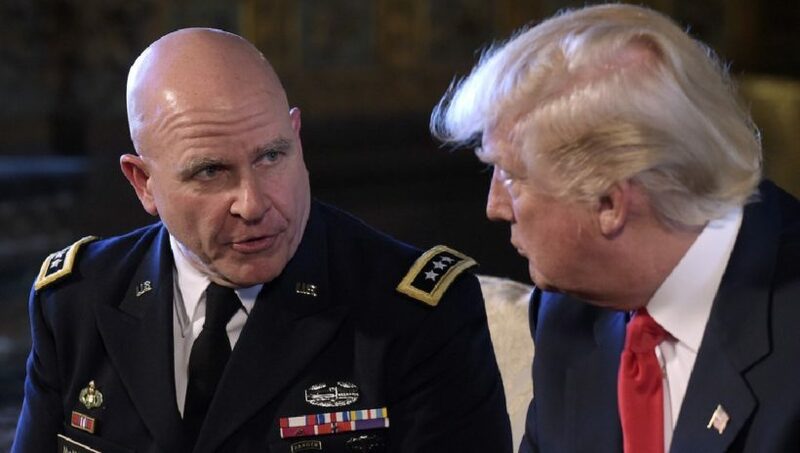 McMaster and President Trump. Despite the warnings of some of his top staffers, President Donald Trump railed against “radical Islamic terrorism” during his first address to the United Nations on Tuesday. In a wide-ranging speech, Trump singled out what he viewed as foreign policy threats, saying he may “have no choice than to totally destroy North Korea” and calling the Iran nuclear deal an “embarrassment” for the US. 2. What is the role of the National Security Advisor? 3. What type of bias is the Business Insider headline an example of? 5. Re-read what President Trump said in his speech about radical Islamic terrorism. Do you think he was railing? Was this fact, or the reporter’s opinion (spin)? Explain your answer. 3. The Business Insider headline “Trump defies McMaster, using phrase radical Islamic terrorism” is bias by spin. The president is the boss – a boss doesn’t “defy” his employee – the NSA is appointed by the president as an advisor. The president does not have to “obey” the NSA’s recommendations.